The Middle Atlantic Work Surface for SC and SCQ Series Consoles WS245-S18-GOR (Oak Trim) is an attractive, work surface designed for use with SC and SCQ Series Consoles. It features a durable, black, graphite, laminate top with an oak, beveled, bull-nose, edge trim. This unit has a right-hand side with a radius edge and rounded corner, while the left-hand side is unfinished. 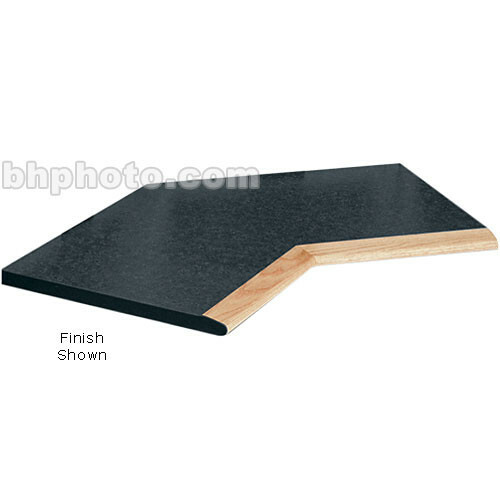 It fits a two-bay, corner-to-corner, console setup or section and also features a 45° corner angle.